Once the first capital of the the Achaemenian dynasty, the ancient city of Pasargadae now lies in ruins. 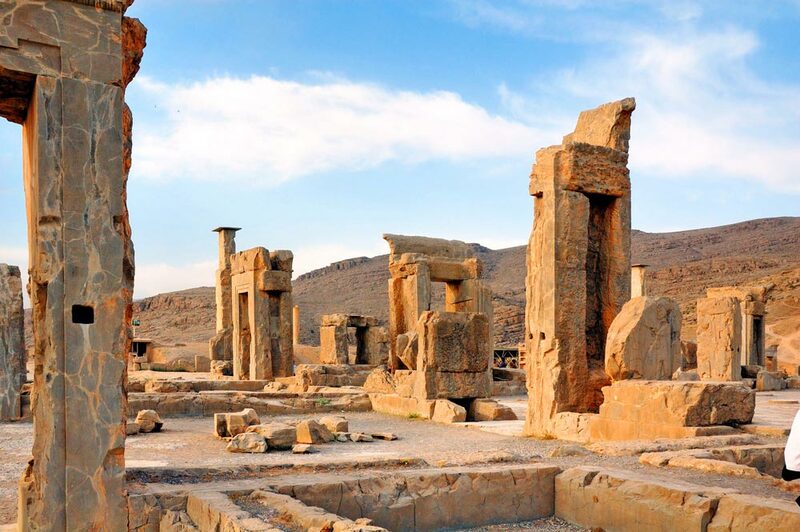 The archaeological site is located in what is now southwestern Iran, northeast of Persepolis. The location was chosen by Cyrus II (Cyrus the Great) who founded the Achaemenid Empire and ruled until his death. The particular site was selected for its significance as the scene of Astyages victory against the Mede in 550. Pasargadae was chosen to be the capital of the first multicultural empire in the region of Western Asia. The empire once spanned all of the Eastern Mediterranean plus Egypt up to the Hindus River, and its diversity is reflected in the architecture found from this period. The architecture at Pasargadae represents the early period of Achaemenid art and architecture. Building on Pasargadae began around 546 BCE and continued after the death of Cyrus around 530 or 529 BCE. Now his mausoleum is located on site, as the most prominent structure at Pasargadae today. His sepulchre is set high above its surroundings, atop a platform with six large steps, resembling a ziggurat. Nothing identifies the tomb as that of Cyrus the Great, but Alexander III of Macedon visited the grave site and had a warrior investigate. Inside were gold and riches along with an inscription, identifying the body within the tomb as that of Cyrus. The inscription has never been found. To save the monument from destruction during the Islamic conquest, guardians of the site claimed it was the tomb of King Solomon’s mother. Other features of the ruins of Pasargadae include Tall-e Takht: a fortified terrace in the hills of the city’s northern boundaries. The fort is constructed of limestone, and uses architectural styles of Asia Minor. The site also features the royal ensemble, including the Four Gardens. The architectural details include large columns and porticos, and bas-relief representations of people and other creatures. There are palaces, a gate house, audience hall, and the residential palace of Cyrus II, built around 535 to 530 BCE. Cyrus the Great’s tomb is 3.17 meters (10.4 feet) in length, and 2.11 meters (7 feet) wide and 2.11 (7 feet) meters tall. The Pasargadae ruins cover an area of 1.6 square kilometers (about 1 square mile). The city was probably named for the Persian tribal chief. Located in modern day Iran, the city of Pasargadae is located in the south-central part of the country. The Pasargadae ruins are located about 43 kilometers (27 miles) from Persepolis, which is part of modern day Fars (or Pars) province. The site is on a large plot of land in the plains of Persai, along the Polvar River. 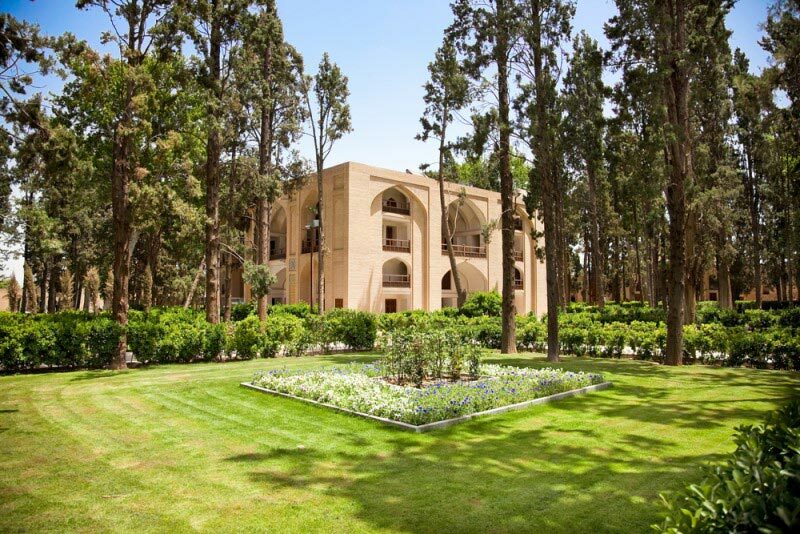 The nearest major city is Shiraz, the capital of the province, which is easily accessible by plane to Shiraz International Airport, with regional and limited international flights, or by bus or car. To get to Pasargadae, buses are available from Saadatshahr, but renting a car or joining a tour is recommended. Summers in this region are very hot and dry in this arid climate, and it is not recommended to visit this distant outdoor destination in the heat of summer, when temperatures in some parts of the country can reach up to 50° C (122° F). Winter has the potential to be cold with snow fall. The best time to visit is during spring or fall, when the region experiences milder temperatures.